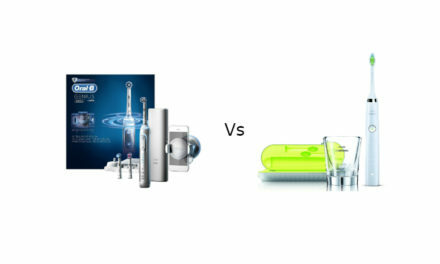 Should you go for an Oral-B Trizone or a Pro? The Oral-B Cross Action is the superior product. It is smaller and easier to use and cleans better in the most important areas. 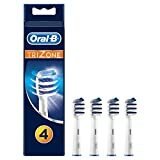 The Oral-B Trizone Brush Head is cheaper and may suit people who like larger brush heads however I will continuing to the Oral-B Cross Action Brush Head. 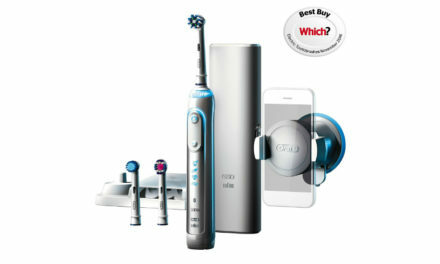 This means that I would always opt for the Oral-B Pro range of electric toothbrushes. As you noticed the only difference is the brush head and a slight difference colour. They are otherwise identical toothbrushes handles. 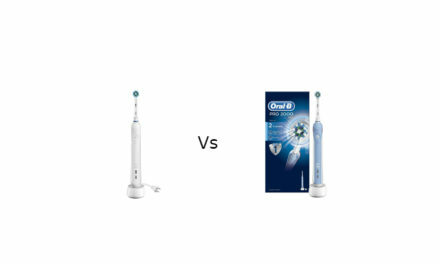 To make things even easier for you, it does not really matter which one you go for as the Oral-B Pro 2000 and Oral-B Trizone 2000 are both compatible with the Cross action and the Trizone Brush head. All the Oral-B electric toothbrush range is compatible with all the Oral-B Brush heads. So really the question is what is better? The Trizone Brush Head or the Cross action Brush Head. The cross action brush head is my favoured brush head that I use on my own electric toothbrush. It is small and compact which means that it can access even the most difficult wisdom teeth or back molars. 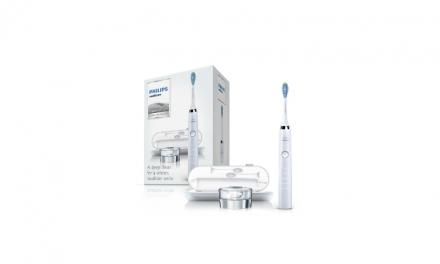 It also uses the 3D oscillating rotating action which cleans teeth very thoroughly. The bristles are medium firmness and are set in a crisscross 16 degree angle. This allows the Cross Action to accurately clean the plaque along the gumline. This plaque is the most important plaque to clean as if left it can cause gum disease. On the Oral-B advertisement it does say that it “removes up to 100% more plaque along the gumline than a regular manual toothbrush.” This to me seems to be a little optimistic. Although it would definitely be an improvement over a manual toothbrush. The cross action brush head like all Brush heads should be replaced every 3 months. Given that 4 brush heads currently cost £10.94 on Amazon. This roughly works out at a running cost of 3p a day. From my experience with the Trizone Brush Head was that it was cumbersome in nature. The sweeping bristles long arc of motion make it extremely easy to accidentally brush your gums which can result in ulcers. It also did not seem to clean as well as the cross action brush head. In fact after using the Trizone brush head, I had to brush my teeth again with the cross action (although this may be because I am used to using the cross action). The Oral-B Trizone Brush head is slightly cheaper at the time of writing than the Cross Action at £10.29. Again the Trizone Brush Head should last for 3 months giving it a 2p a day running cost. This is cheaper than the Cross Action but the Trizone is a lot more cumbersome to use and does not clean around the gumline as well as the Cross Action. The Oral-B trizone has a smaller range of models than the Oral-B Pro. Here is a handy table of all the products that you can get with a trizone and all the models you can get with the Pro/crossaction. As you can see from the table the Oral-B Pro range has 8 more electric toothbrushes compared with the Oral-B Trizone range which has only 6. 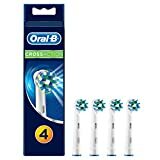 Of course you could just buy the Pro range Oral-B electric toothbrush and buy a trizone brush head seperately as all Oral-B Electric toothbrushes are compatible with the Cross action or Trizone. This however would likely cost you more. Your decisive opinion on this is much appreciated. A lot of other reviewers politely sit on the fence! Your most welcome. Glad I could be of help.